Two men allegedly involved in the dissemination through the social networks of photoshopped images showing Panama’s Attorney General Kenia Porcell in revealing poses with disparaging comments have been arrested. The secretary of the Public Ministry, Rolando Rodríguez, reported that through the IP addresses of the computers used to disseminate the photos, two men were arrested. the presumed authors of the original diffusion in social networks of the images. The arrests were made in Chiriqui and Panama. 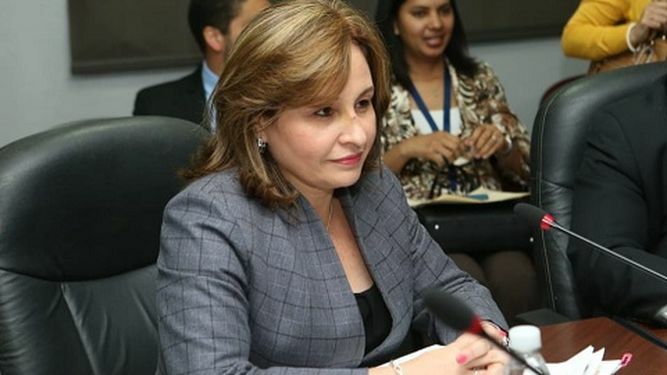 the superior prosecutor of the Trial Assistance Section of the Metropolitan Prosecutor's Office, Maruquel Castroverde, said that the suspects could face penalties ranging from 5 to 8 years in prison, but that can rise to 12 years in prison if aggravating factors are determined during the Investigation. She said that in these cases not only the woman victims of the dissemination of through social networks but also their entire family environment is hurt. The younger of the two men Juan Marcos Morales Esquivel,34 appeared before the judge of guarantees Jaqueline Montenegro in David, Chiriqui on Saturday his arrest a was legalized and h was sent to preventive detention. he prosecutor Yaisa Morales, presented the elements that link him to the crime of gender violence, typified in article 138 of the penal code. The prosecutor argued that the Attorney General filed the complaint for being the public humiliation and a personal psychological injury for her and her family, she and her family. Morales Esquivel published on Instagram four photographs, of Porcell and three other photos of a similar person in lingerie. 'Corrupt, Criminal and pornographic je je je', (ha ha ha) was the message that accompanied the “hot” photos. Judge Montenegro said that she decreed preventive detention since she considered that with the evidence presented by the Public Ministry there were procedural risks, such as the possible destruction of evidence.